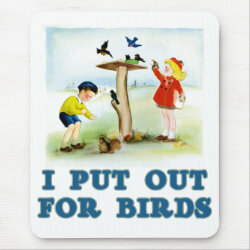 Here is a whimsical vintage image of children feeding birds. 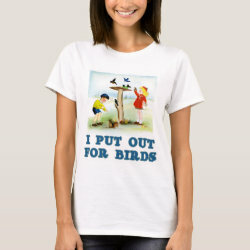 They are also enjoying the company of a hungry squirrel. 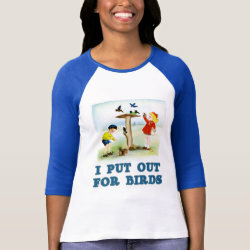 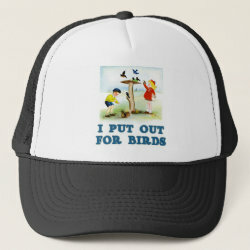 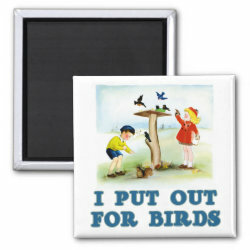 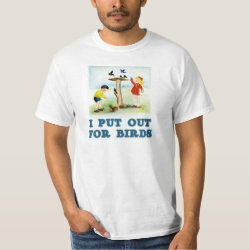 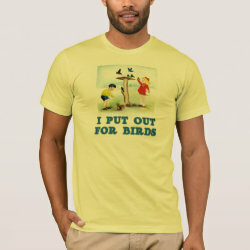 The caption below is birder More... and backyard bird lover humor at its finest: I Put Out For Birds. 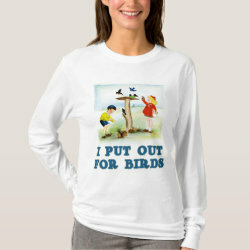 This is great for anyone who's easy -- about feeding the birds.